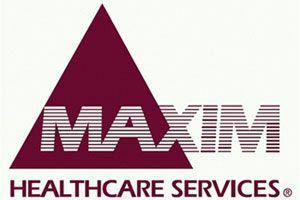 Maxim Healthcare Services is now open in Salt Lake City! As a leading provider of home care services throughout the United States for the past fifteen years, Maxim has been able to develop a strong clinical team of skilled nurses and home health aid workers. All of our nurses are licensed, bonded, insured, background screened, and drug tested to ensure your peace of mind. Our vast coverage area spans the entire Wasatch Valley including Davis, Salt Lake, and Utah Counties. We are solely committed to providing care for those in need of: long-term catastrophic, geriatric, live-in companionship, private duty nursing and pediatric care. We specialize in last minute patient discharges and assist with the pre-authorization of all patient insurance policies. Our fast, uncompromising response time is unparaleled, and we are on-call 24 hours a day, so call anytime at (801) 685-7070! We have a variety of scheduling options available. We look forward to hearing from you!